People are good at talking about what they see. But we’re not so good at describing things we smell. Ask us to name a scent, and we’ll probably get it wrong — even though the latest research shows humans detect odors just fine. Even if we know the scent, we may say mud smells like earth, or a watermelon smells like, um, watermelon. We don’t really have special words to describe an odor’s quality, so we stick with analogies or the source instead. But by we, I mean English speakers in Western cultures. 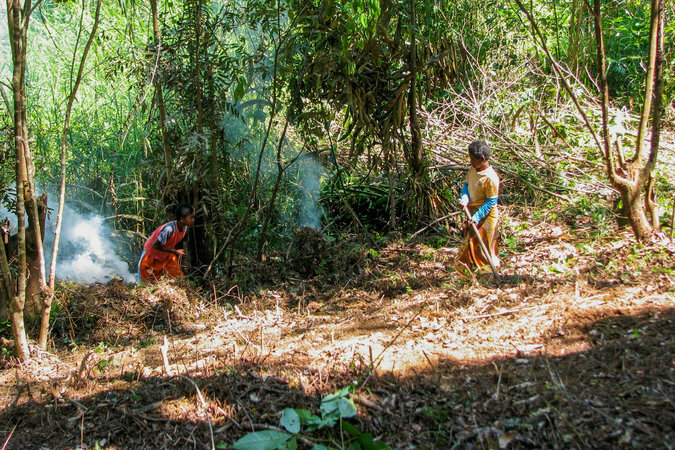 Some groups of hunter-gatherers are far better at identifying and describing odors. The Jahai people of the Malay Peninsula have about a dozen words for types of odors. That certain je-ne-sais-quoi you smell when you step into a musty home, hike by decaying vegetation or open a box of stale cereal — a single Jahai word that direct translation wouldn’t do justice, encapsulates that quality. What makes one human better at talking about odors than another? Are English speakers flawed smellers, or are the hunter-gatherers of the Malay Peninsula exceptional? The answer might come down partly to culture, suggests a study published Thursday in Current Biology. To better understand why the Jahai have this knack with naming smells, researchers compared a different group of hunter-gatherers on the peninsula, the Semaq Beri, with neighbors who are not hunter-gatherers. Even though they shared related languages and a home environment, the Semaq Beri had a superior ability at putting words to odors. These results challenge assumptions that smelling just isn’t something people are good at. They also show how important culture is to shaping who we are — and even what we do with our noses. 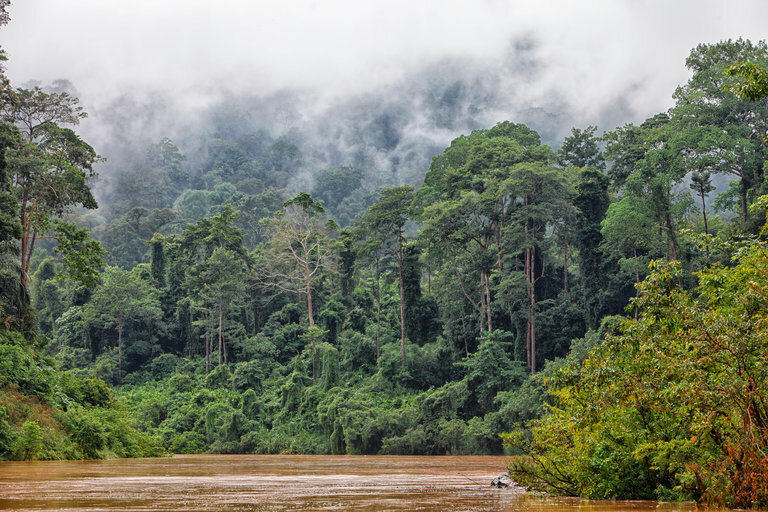 In the rainforests of the Malay Peninsula, the Semaq Beri, like the Jahai, are hunter-gatherers. But the Semelai, a group that lives nearby, cultivate rice and trade collected forest items. To test their color and odor naming abilities, the researchers asked members of each group to identify colors on swatches and odors trapped inside pens. When it came to naming more than a dozen odors including leather, fish and banana, the differences were clear. The Semaq Beri used particular terms to describe odor qualities. But when the Semelai tried to identify the source, they often got it wrong. The difference between the two groups was as pronounced as the gap in the earlier study between the Jahai and English-speaking Americans. “I thought the differences would be more subtle between the two groups,” said Nicole Kruspe, a linguist at Lund University in Sweden who co-authored the study. Perhaps the importance a culture places on odor influences how people describe it. And if you depend on the forest’s produce to live, you may want to know more subtle attributes that indicate origin, safety or quality. “A cultural preoccupation with odor is useful in the forest with limited vision,” said Dr. Kruspe. The Semaq Beri value odors as food-locating resources but also as important pieces of life that can indicate a person’s identity and guide taboos and rules for behavior. But “that in itself doesn’t explain it,” Dr. Kruspe said. Perhaps well-practiced skills preserved odor-detecting genes or primed brains to be better odor-detectors — which suggests that without continuing to use this ability, it could one day be lost. Asifa Majid, a linguist at the Max Planck Institute for Psycholinguistics in the Netherlands and co-author of the paper, has also studied hunter-gatherers with comparable skills in Mexico and worries that pressures of globalization may disrupt these lifestyles, limit access to odors and threaten a vibrant odor lexicon. One way to explore that possibility would be to see what happens to the lexicon for odors of descendants of hunter-gatherers who have been removed from that lifestyle. A version of this article appears in print on January 23, 2018, on Page D3 of the New York edition with the headline: Following a Whiff of Intrigue.